People often ask me what makes a Kickass Canadian. I’m always looking for inspiring people. But another common thread is that everyone on this website takes action when they see something they want to change or give a voice to. By that definition, Adria Vasil personifies Kickass Canadian. This is a woman who sees injustice—to each other, ourselves, our planet—and sets out to fix it. Adria is a strong advocate for women’s rights and social justice. But she’s best known for her environmental work. 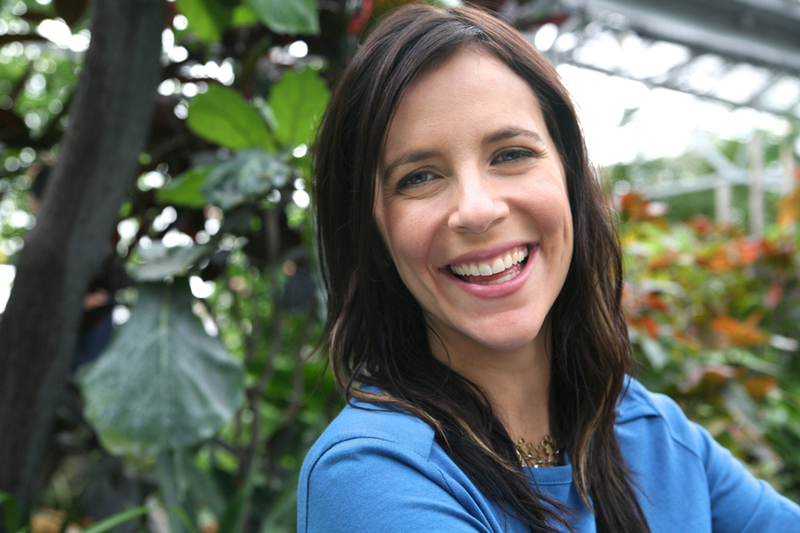 As writer of NOW Magazine’s advice column Ecoholic since 2004, she’s appeared on nearly every TV and radio station in the country, including CTV, Global, CBC, MTV Canada and MuchMusic, promoting green living with humour and eloquence. Her column has been warmly embraced by readers and critics alike. It’s also led to a fantastic series of books, all proudly published by Random House of Canada. So far, there’s Ecoholic (2007), Ecoholic Home (2009) and the just-released Ecoholic Body. After researching Adria and the Ecoholic lifestyle for a work project, I was keen to learn more and discover just what it takes to grow someone so kickass on our own turf. Adria was born in Montreal, Quebec to a French-Canadian mother, Francine, and Greek-Canadian father, Peter. She’s the third of four children, all of whom went on to become “health nuts.” Nick became a holistic nutritionist and chartered herbalist; Lisa is a family physician with a passion for holistic health; and younger brother Mark is an educator for Whole Foods Market. The family also ate a lot of processed food—Velveeta cheese, Cap’n Crunch cereal, canned beef ravioli. “Not exactly the quintessential Ecoholic upbringing,” says Adria. But then her father’s doctor told him he’d be dead by 40 if he didn’t change his diet. So, making it clear that Adria’s discipline and commitment runs in the family, he changed his eating habits overnight, and the rest of the Vasils enjoyed the benefits. They traded in buckets of Kentucky Fried Chicken and went back to their Mediterranean roots, enjoying “Greek cooking—lots of vegetables, lots of fish,” says Adria. After five years in Shawinigan, the veggie-loving family moved back to Montreal. And that, says Adria, is where she had a real environmental awakening. Around that time, reports about acid rain and growing holes in the ozone layer started getting more prominent. Then the Blue Bin Recycling Program came to her neighbourhood. And then the environmental message came even closer to home for Adria. Adria was 15 when her family moved to Mississauga, Ontario, not far from Toronto. By then, she was already flexing her activist muscles at a number of meetings and protests about environmental and human rights issues. Adria never lost sight of the importance of preserving our environment. But even in her teens, she was expanding her horizons beyond environmental issues. At 16, she became the youngest volunteer at Interim Place women’s shelter, and planned to become a social worker. But after seeing how exhausting the profession was, she decided to try a different kind of social work. Once again, Adria stuck to her guns. She enrolled in a post-graduate journalism program at Ryerson University, and within her first semester, was interning at NOW Magazine. 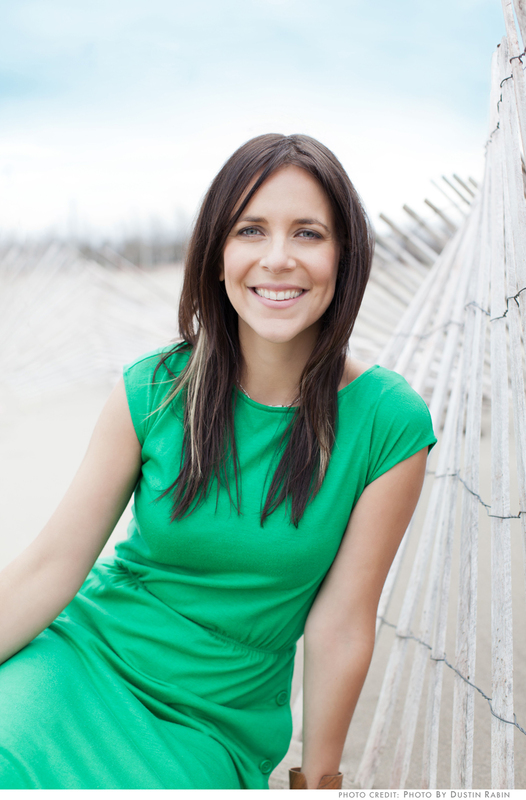 After graduating in 2003, she took a full-time job with the publication and hasn’t looked back. When she started at NOW, she wrote about a range of issues—the environment, to be sure, but also social justice and corporate sustainability (or, as she says, the lack thereof). Over time, though, she began writing more and more about the environment, calling out organizations that were guilty of greenwashing (i.e. selling products that aren’t as green as they claimed). And so Ecoholic was born. It was an interesting time to start the column. Adria wrote the first Ecoholic installment in April 2004, the same month she wrote an Earth Day article on the lack of mainstream environmental consciousness across Canada. In spite of the boom, Adria is concerned when she hears that Canadians have become disconnected from the environment in the last few years, due to other pressing concerns such as the economy. That, she says, is a very dangerous message to spread. Ecoholic Body points out all you need to know to green the skin care, fashion, cosmetics and supplements you consume. It includes product reviews, ingredient definitions, DIY recipes and boxed-out tips for living as green as possible. And it couldn’t have been written by a more qualified writer. Adria is a walking example of green living. She’s a vegetarian (except for the occasional organic fish dish prepared by mom, as long as it’s not an endangered species), favours her big blue cruiser bike or the streetcar for transport, and uses only natural body care products (though she admits it was hard to part with antiperspirant, her last secret toxic product that she snuck on occasion, until she finally pitched it for good a few years ago). 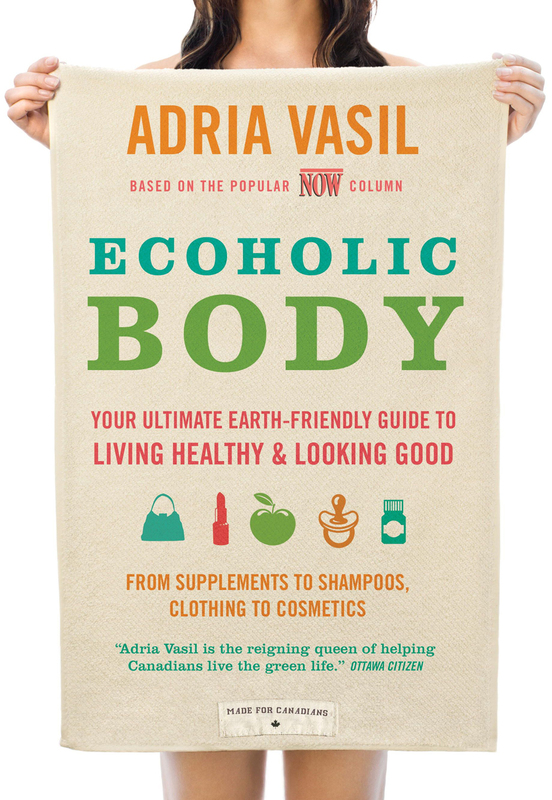 When Adria started writing Ecoholic Body three years ago, she didn’t know its exact release date. But as it turns out, its timing couldn’t be better. Adria is doing everything she can to awaken that consciousness. The more awareness she can spread, the more we as Canadians will put pressure on companies and politicians to make real changes. And that is exactly what’s needed to help get our bodies, and our planet, back on track. She acknowledges that Health Canada has been making progress by declaring a few new chemicals to be officially toxic. But so far, they aren’t taking steps to ban those ingredients, such as antibacterial triclosan, from our shelves. She’s convinced that Canadians never stopped caring about the environment; she cites the many advertising campaigns that cry green (whether legitimately or not) as evidence that buyers want to go green. The issue, she feels, is that our collective interest isn’t being expressed in our federal politics. That’s something she expects to change when the next federal election rolls around. But that’s two years away. In the interim, Adria is doing all she can to present the facts and let people know there are natural alternatives to the harmful toxic products so many of us consume. There you have it. Taking action. Inspiring others. Totally Kickass. For more on Adria, visit Ecoholic.ca, check out her Ecoholic column, ‘Like’ her Facebook page and follow @ecoholicnation on Twitter. You can also click here to order Adria’s wonderful books. What a great (kickass!) way to celebrate Earth Day! Congratulations on this inspiring story, I look forward to learning and thinking more about these ideas. Great article, Amazing Sage! Adria is a hero and important voice in the sustainability movement. Thank you for helping to bring her story to the masses. I hope all of your readers buy, borrow, or pick-up her books from the library, enjoy a great green read, and make strides to improve the health of their bodies, their homes, and our environment. Adria Vasil? Kickass? You bet! Thanks as always, Josh 🙂 You’re leading an amazing example yourself, with all the work you do for Ecology Ottawa’s Great Glebe GREEN Garage Sale, among other things… Glad to know you!